The list below contains tabs from a number of website. Al Wood’s Ukulele Hunt and PDF Minstrel both feature pretty prominently though. That list should keep you busy throughout December (you might want to lay off after that though). If you do know of any others drop me a link in the comments and I’ll get the list updated. 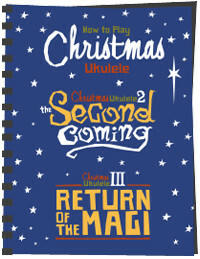 Finally, if you just can’t get enough of Christmas songs on ukulele then take a look at Al Wood’s Christmas Ukulele Trilogy ebook. 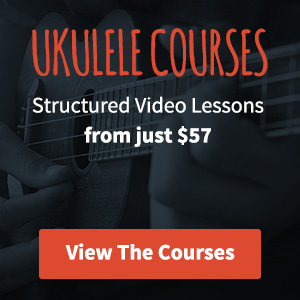 For $14 you get 3 ebooks with a total of 32 ukulele tabs, all with supporting YouTube videos and audio files. They’re not famous Christmas songs, but these tabs are free and they’re easy to play. Thanks for all the mentions! Any way to see the titles in the trilogy Christmas song books? I’m looking for “Everybody Deserves a Merry Christmas” by Fauss and can’t find a Ukulele version anywhere.